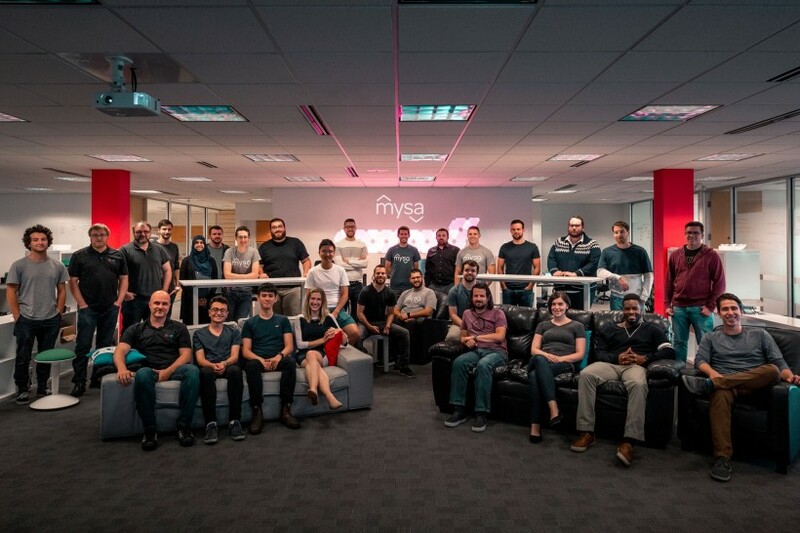 The rapidly growing Mysa team. St. John’s-based Mysa Smart Thermostats has closed an equity funding round worth more than $2 million, enlisting investors from across the country to fund further sales of its energy-saving devices. The company issued a statement Wednesday saying the round included contributions from Killick Capital and Pelorus Venture, which invested $600,000 in Mysa in May 2017. The new investors include Conconi Growth Partners of Vancouver, as well as angels Nicholas Ponari of Quebec and Chris Huskilson, the former CEO of Halifax-based power utility Emera. Huskilson is joining the company’s board. The company was founded under the corporate name Empowered Homes in 2014 by CEO Josh Green. Its main product is the Mysa thermostat, which uses artificial intelligence and mobile communications to ensure optimum heat settings in homes with high-voltage heating systems, such as electric baseboard. Most automated heating products like Nest don’t work on high-voltage systems. The Mysa story began when Josh Green was performing energy audits and realized that state-of-the-art smart thermostats don’t work on high-voltage heating systems. He brought in his brother Zachary as COO and was soon growing the business with the help of support organizations like Genesis Centre and Propel ICT. In June, the company graduated from Creative Destructive Lab Atlantic, through which it met some of its investors. “While it was certainly the quality and the functionality of the Mysa thermostats that led me to Empowered Homes, it was by far . . . the skillful execution of the management’s business strategy and their staggeringly large progress in a short amount of time that made me want to join the family,” said Ponari. By the end of last year, the company had 5,000 pre-orders of Mysa, which is now installed in thousands of homes, divded evenly between Canada and the U.S.. "The product is receiving rave reviews backed by our 4.5 star rating on Amazon, which has over 200 reviews," said the CEO in an email. Mysa said these customers are now reducing their electricity bills by as much as 26 percent. Meanwhile, the company’s staff has grown from 12 at the time of the 2017 funding round to 35 today. With the fresh round of investment, Mysa says it now has the capital to develop new products and continue to support the flagship product.